Please enjoy this talk from Dr Stephanie Dowrick on what is universally known as “the Golden Rule“. Without an understanding and practice of “doing no harm” and recognising that your neighbour feels and needs as you do, our claims to spiritual or psychological maturity are so easily lost. However, we will never learn to live the Golden Rule because we should. We will do so only if we allow our hearts as well as our minds to be touched. It’s only that which will awaken the profound potential for compassion in each of us – and keep our world safe. 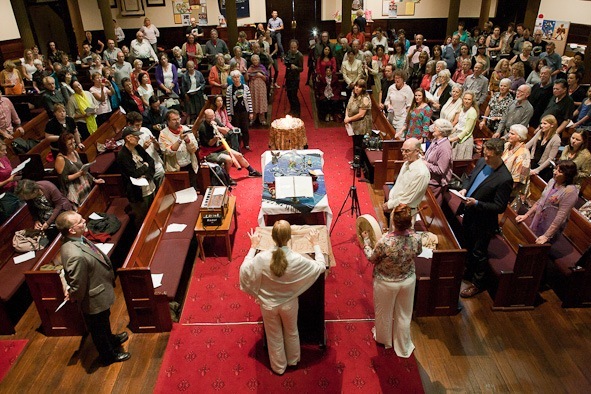 Stephanie Dowrick’s talk was recorded at the sixth anniversary service of the inclusive spiritual services at Pitt Street (264) Uniting Church, Sydney. We meet there on the third Sunday of each month at 3pm. For more information visit Stephanie Dowrick’s website. To comment please visit her inspirational Facebook page. 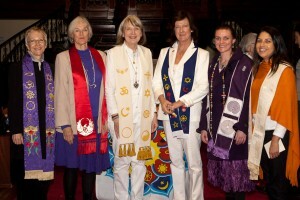 Reverend Brookes McTavish, Reverend Kerry Dwyer, Reverend Dr Stephanie Dowrick, Reverend Ann Joel, Reverend Siobhan Christian, Reverend Shalani McCray” interfaith ministers celebrating six years of services at Pitt Street Uniting Church and their own beautiful ordination and ministries. Previous Previous post: Reading recommendations!